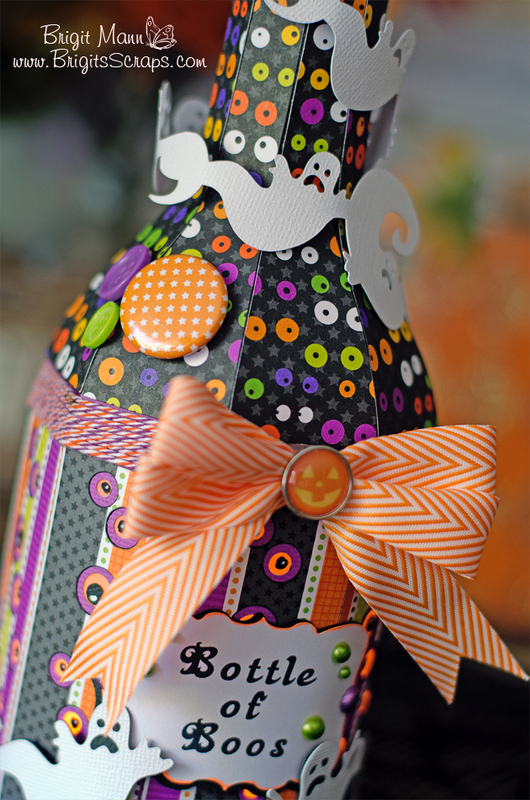 I have a fun SVGCuts Design Team project today, a Bottle of Boos!! I seen a glass bottle version of this on pinterest last year and wanted to make one. When Mary came out with the New Years Eve kit with this champagne bottle in it I thought it was so perfect for this project. I really love how it came out, it's such a cute project, whoever thought it up is brilliant. I going to add wine glasses filled with marshmallows and put a vinyl ghost face on them to add some more whimsy to the project. 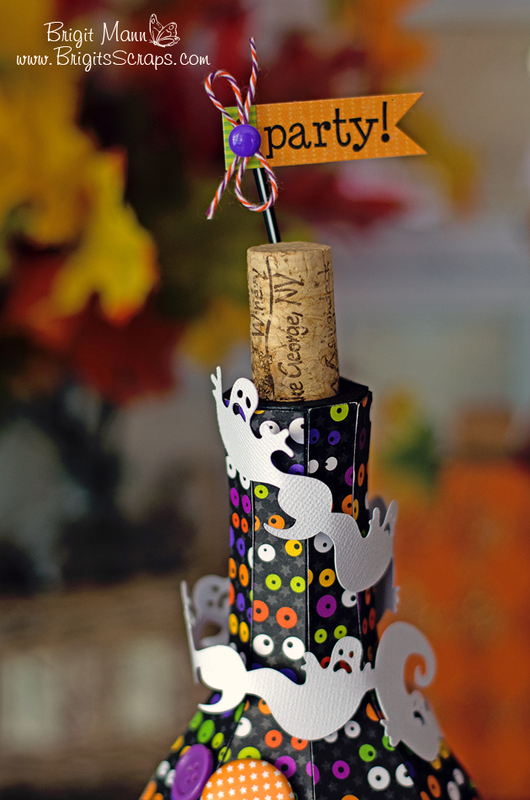 The wine cork fits perfectly, so cool. 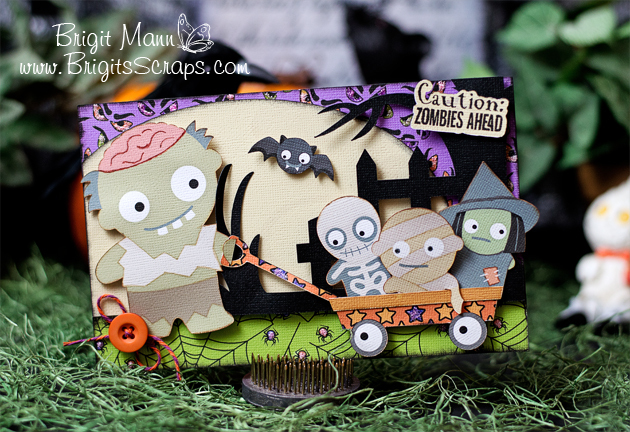 The paper I used is Doodlebug's Halloween Parade, the colors are so bright, it's the perfect Halloween paper. 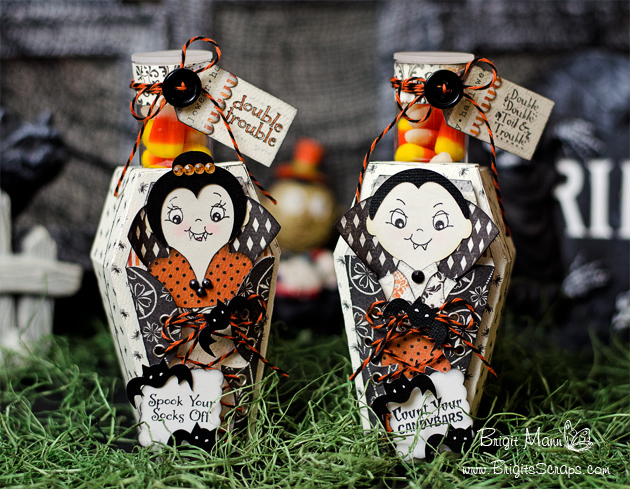 All the ghost are from the Spooky Silhouettes collection and the label is from Toil and Trouble. 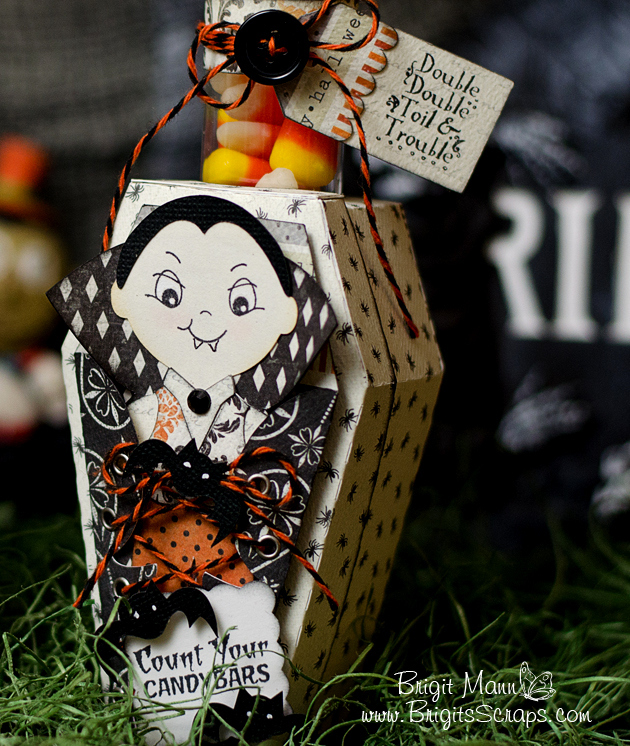 The ribbon is from Sparkly Sweet Craft Notions, the Trendy Twine is one of the new Halloween colors, Spooktacular Taffy and the cute orange flair is from Paper Play Studio. 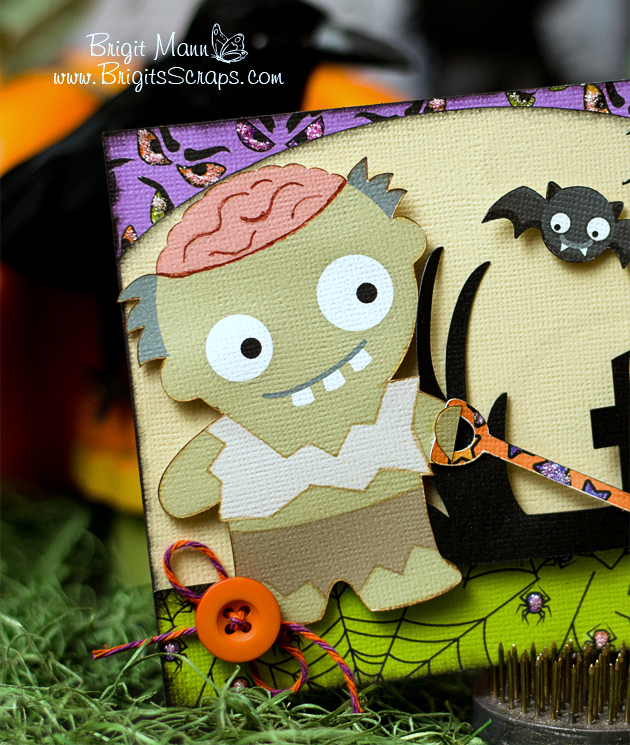 For complete directions and supplies that were used visit my Design Team page over at SVGCuts! 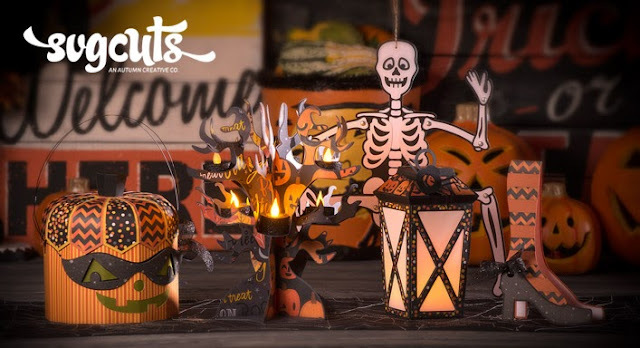 Linking this up to Paper Issues Halloween Hootenanny. 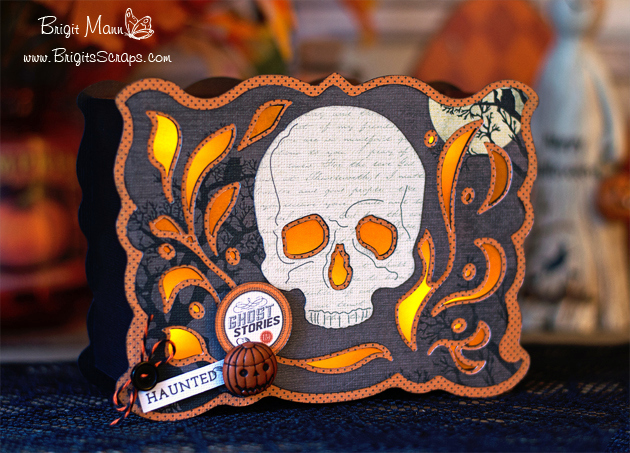 I love SVGCuts new kit Catacomb Manor and the catacomb card is amazing! I loved it so much I turned it into a luminary bag so I can display it for Halloween. I just made holes in the bottom layer and also in the bag which is from the Betty Bags and Boxes II kit. I added another base piece in the back of the bag so it stands straight, it's a very sturdy and should look nice with my other Halloween decor. 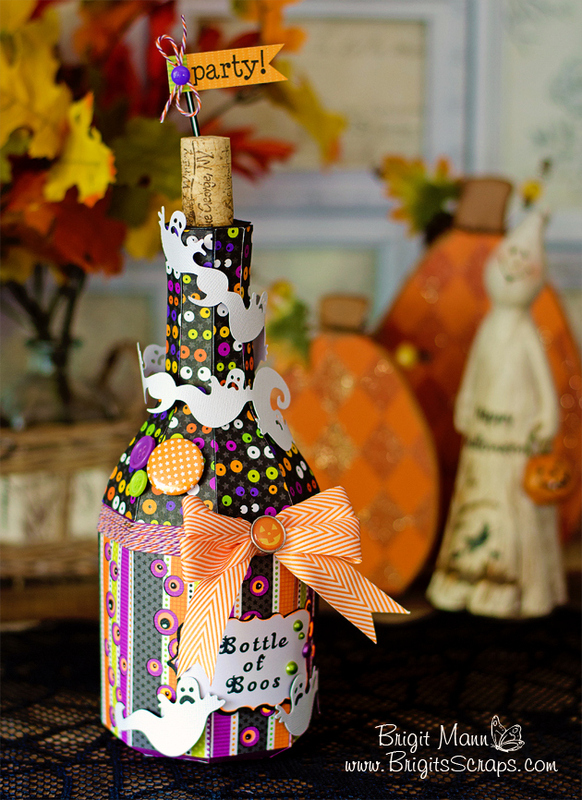 The digital paper is Carta Bella's Happy Haunting and I used some Orange Licorice Trendy Twine. 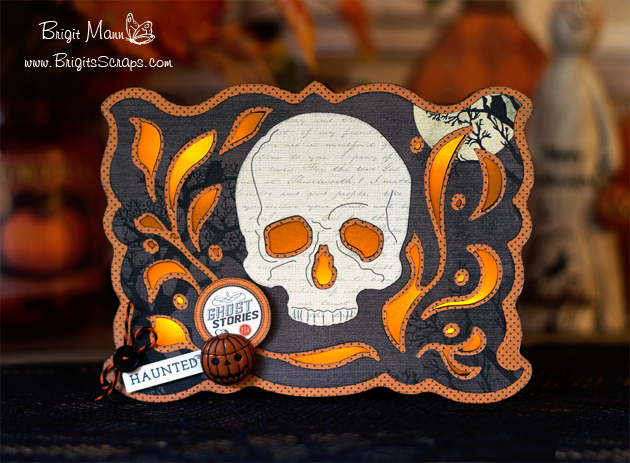 The elements are also from the digital paper collection and the cute little pumpkin button is from Buttons Galore and More. 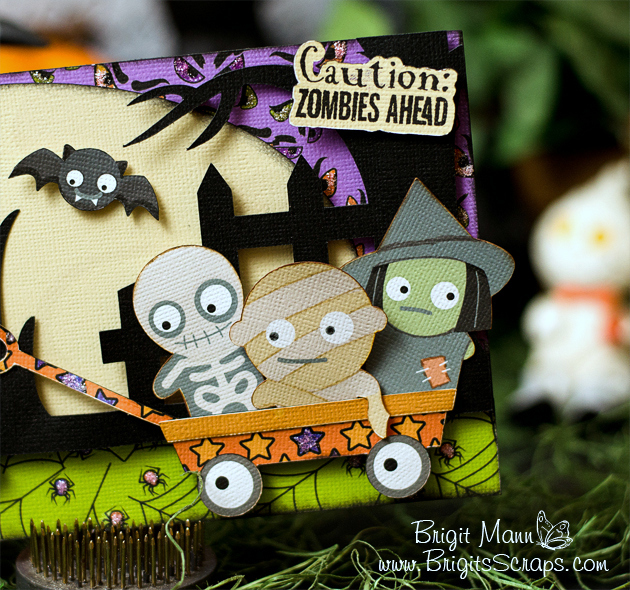 As I'm waiting for the the SVGCuts kit to come out, you are going to love it too, I made this Halloween card. I used the tree card from Home for the Holidays and the ghosts are from Salazar's Scary Squares. 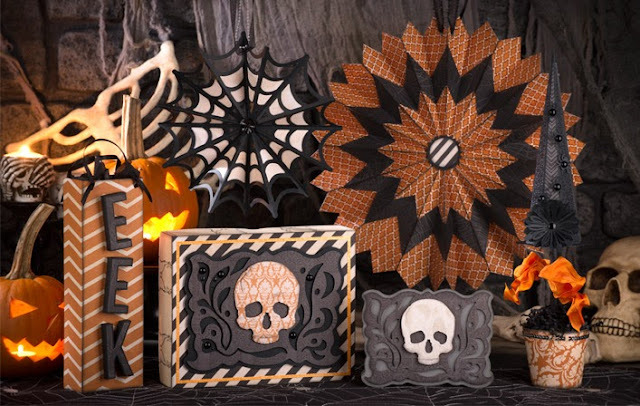 The pattern paper is from Carta Bella's Happy Haunting digital collection and the Trendy Twine is Orange Licorice. 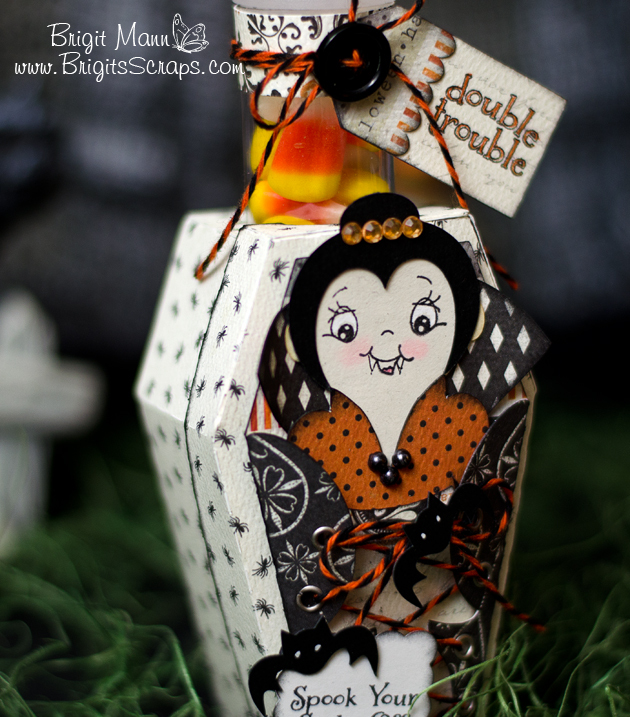 The cute little ghost and pumpkin button is from Buttons Galore and More, you can get a bunch of adorable buttons there. 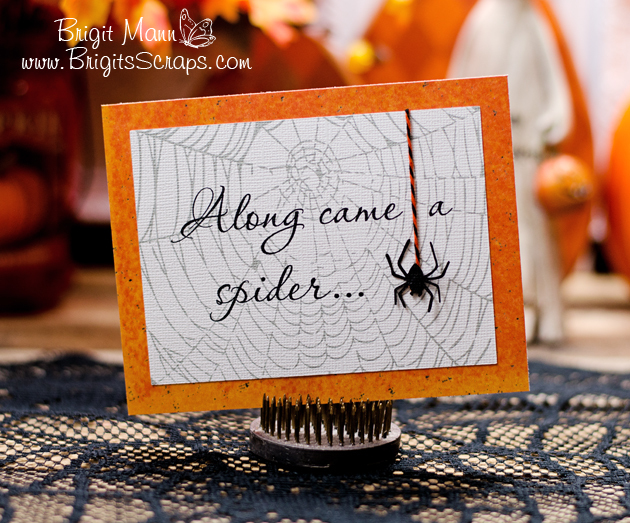 I have a fun card today over at the Trendy Twine blog! I picked up the Echo Park's digital collection Photo Freedom Oh So Thankful and I really loved this dragonfly card that's in there. I just added the Lori Whitlock phrase and then matted it on digital paper also from the collection. A very simple and quick print n cut card to put together. I also used a touch of Totally Kraft Trendy Twine under the cut button embellishment. 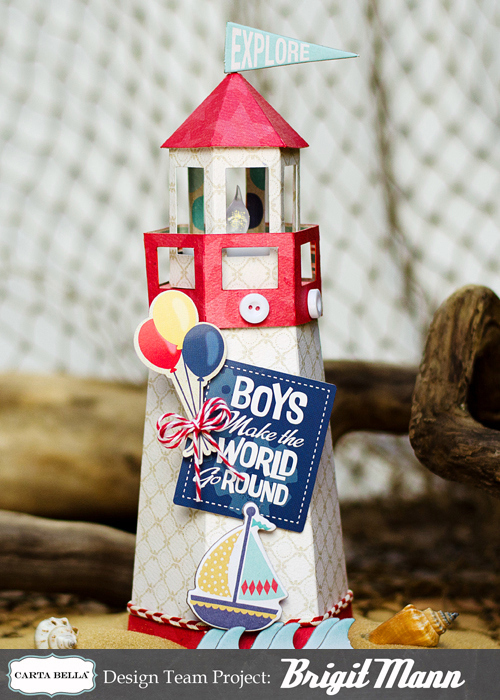 I have a fun new project on the Carta Bella blog today, a lighthouse using the Rough & Tumble Collection. I love this paper collection, the colors are so rich, even though it has a boyish theme it can be used for so many different projects. 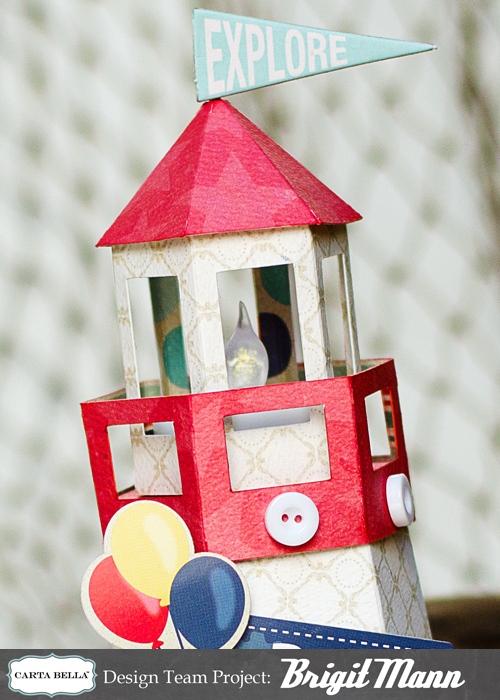 It was perfect for this lighthouse, I wanted that red and white and these papers worked great. The lighthouse is from Creations by AR, I love that you can put a battery tealight in the top, the bottom part is a box which can be filled with candies, makes such a cute centerpiece for a party. 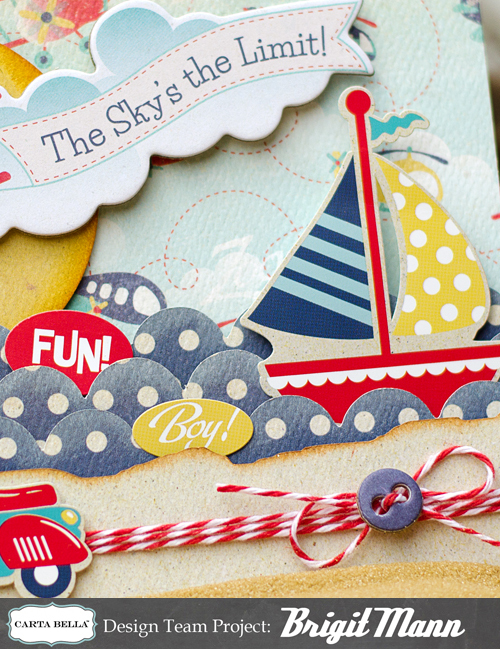 The elements in this collection are so cute, it covers sea, air and land, something for just about everyone really. The bow is made of Berry Trendy Twine and I added some red and white cording around the bottom. 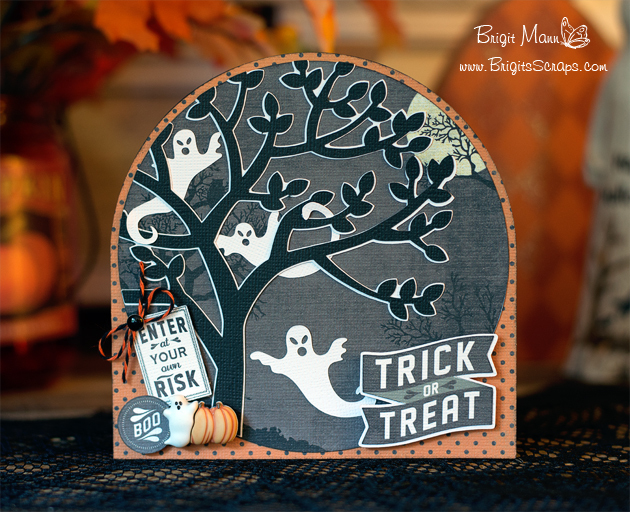 I hope you've enjoyed this project, stop by the Carta Bella Blog to see all the wonderful projects made with their awesome paper collections. Hi everyone!! 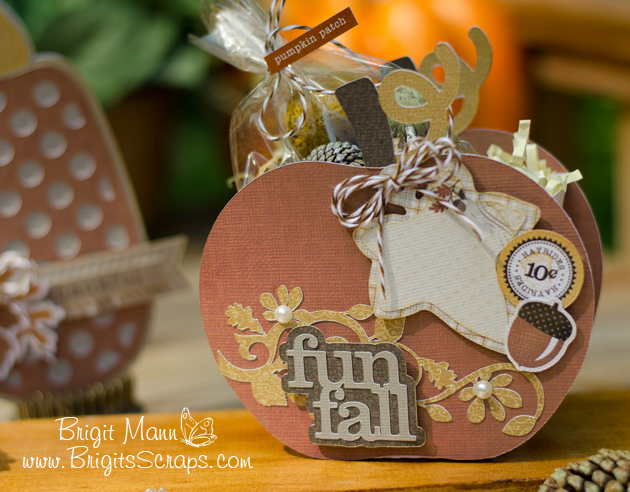 I have a pretty autumn project to share with you today, a pumpkin box filled with potpourri and a matching pumpkin shaped card, all files are from Lori Whitlock's store. I used Echo Park's digital paper Reflections Fall designed by Lori, I love the warm richness of this collection, it's absolutely beautiful. It also has wonderful elements that come with the full digital set. 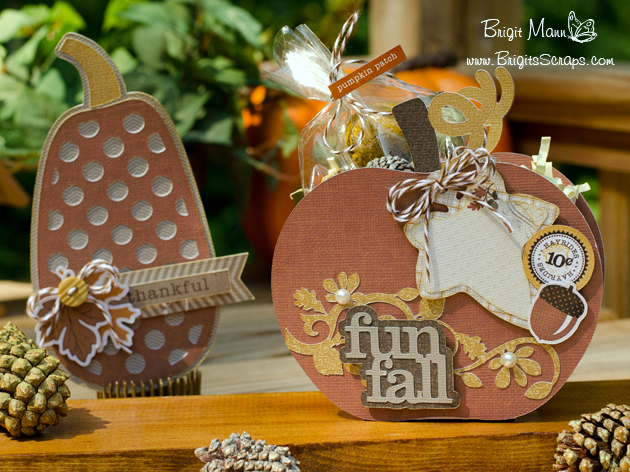 For the pumpkin box I add the fall flourish 2 to the front with a couple of pearls and the fun fall from the 5 fall titles set. The leave layered tag comes with the box, perfect for writing a sentiment. I finished it with a couple of elements from the digital collection and some chocolate truffle trendy twine. 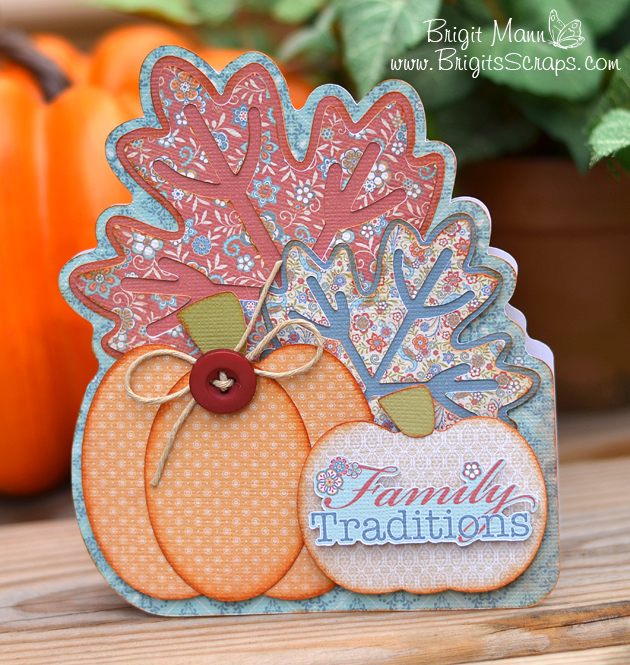 I welded two pumpkins from the pumpkin set to make the card, kept it simple using a couple of elements from the paper collection. 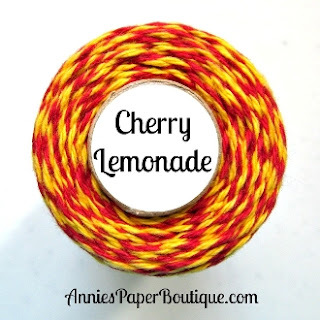 I used a little more chocolate truffle trendy twine and a cute little button. Thanks for stopping by today, I hope you enjoyed my project! 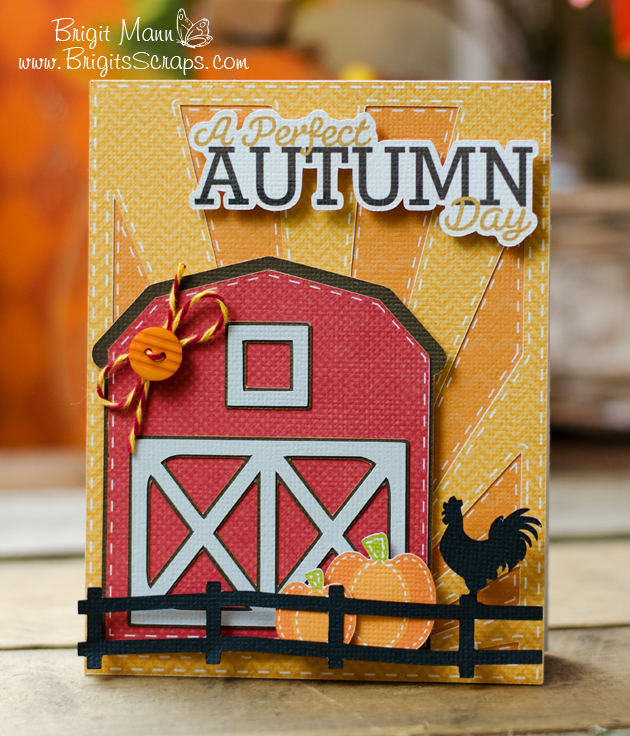 A quick card using SVGCuts barn and pumpkins from the Leaves Are Falling kit. The background sunrays and rooster are freebies, but I'm not sure if they are retired. 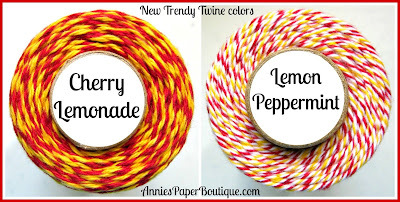 The sentiment is from Echo Park's Reflections Fall digital paper collection and the Trendy Twine is Cherry Lemonade. 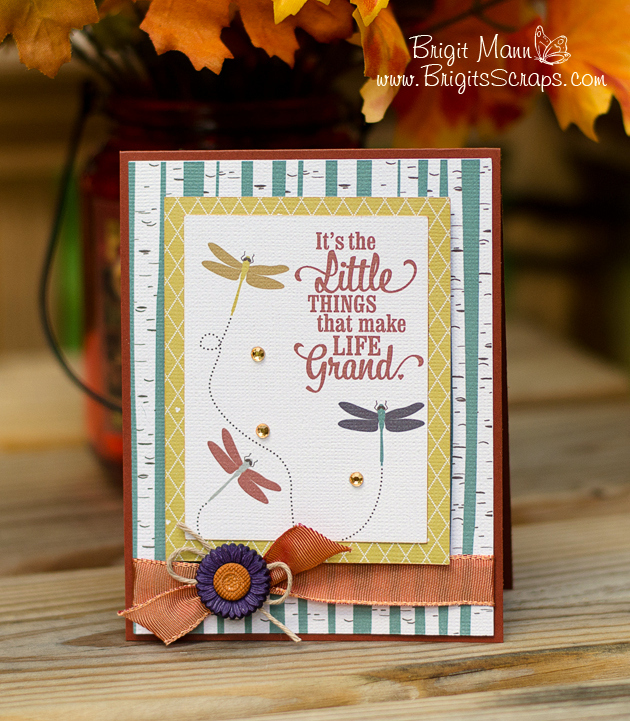 First Carta Bella Design Team Project and Giveaway! Hi Everyone, I'm so excited to be joining the Carta Bella Design Team! To help celebrate we are having a GIVEAWAY, check for details below. 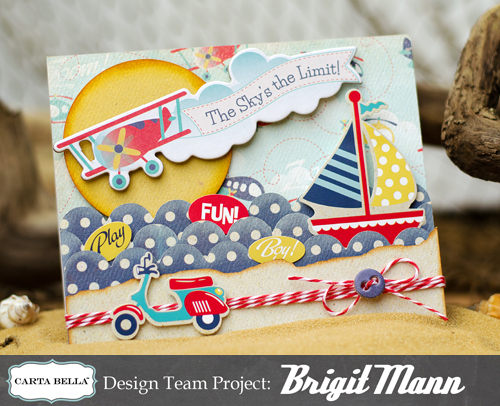 I love the beach and this wonderful boyish paper with it's rich colors and great patterns really worked perfectly for this card. 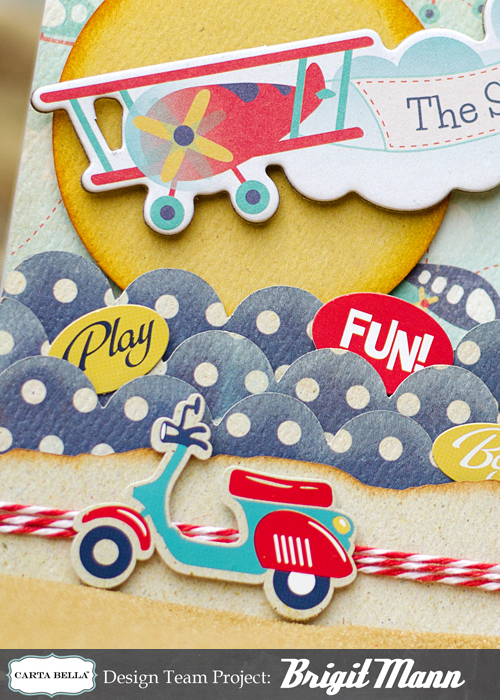 The stickers and chipboard pieces are so adorable, made it so much fun creating this playful beach scene. Love the little motor scooter so cute! 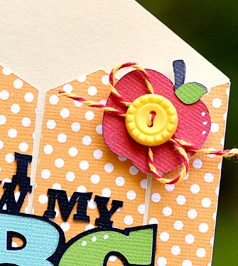 The cardbase and scallop waves are from SVGCuts kit Everyday Cards, I also used some Berry Trendy Twine. 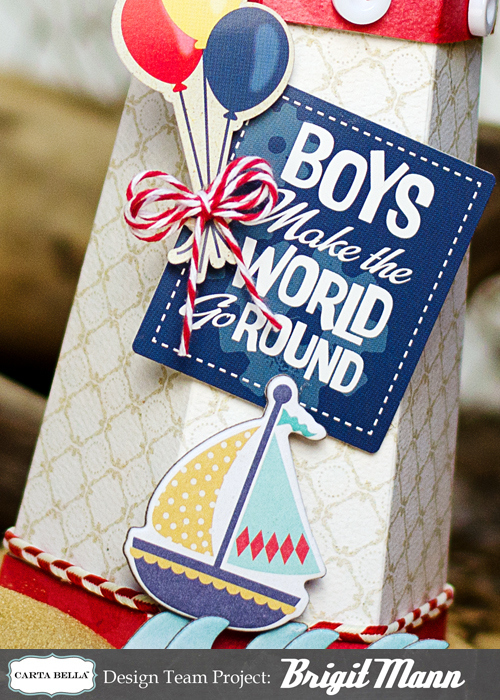 Everything else is from the Rough & Tumble Collection, stickers and chipboard pieces. 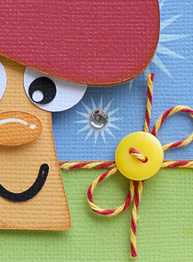 "Want to win a collection kit of your choosing from Carta Bella Paper? Simply leave your name and email address (in code if you prefer) in the comments section of this blog post to qualify. All comments are due by Sept 13th, 2013 at 11:59 pm EST to qualify. I will select ONE lucky winner on Sept 15, 2013 and notify them by email. Winners have one week to respond or I will select another winner. The winner may select a current collection from Carta Bella Paper. The collection will be shipped from the Carta Bella Paper offices. Only one entry per person please."